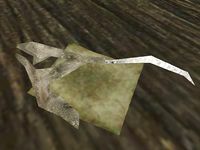 Horker Tusks are found by killing horkers, which can be found all around the coast of Solstheim, especially in the north. After a certain point in the Main Quest, many of the horkers start dying on their own, saving you the trouble (and guilt, since they're generally not hostile) of killing them yourself. Two of the effects of horker tusks are unique to this ingredient (in fact, horker tusks are the only ingredient with any Drain Skill effect). 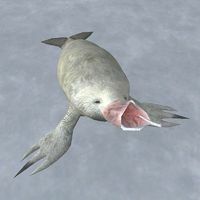 Drain Alteration can still affect you if you eat a horker tusk straight, but Fortify Maximum Magicka is essentially pointless, since it's not the first effect.